The Nintendo Switch, unlike its competitors, has an incredible assortment of accessories to choose from. Controllers, chargers, carrying cases, screen protectors, adapters, and even microSD cards are all part of the immense pool of peripherals meant to enhance your Switch-owning experience. We’ve gathered the best Nintendo Switch accessory deals to help cut through the clutter. Since the Nintendo Switch is a hybrid console, what you incorporate into your daily routine can mean the difference between ease of use or a perpetual state of anxiety over whether you’ll lose one of its itty-bitty cartridges or damage its oh-so-delicate screen. The catch is, that since it is a Nintendo product, you can expect prices for Nintendo Switch accessories to be a bit … overwhelming. Especially for those of us working with a budget. That’s why we decided to put together a small roundup of the best Nintendo Switch deals available on Amazon this week. You’ll not only save money on these great Nintendo Switch accessories but you’ll be able to game in style. Sure, you could have a Nintendo Switch dock that was missing a picture of world-famous Pokémon Pikachu on the side, but then you would just have a standard, boring, non-Pikachu-adorned dock. PDP heard your cries and created the Nintendo Switch Pokémon Light Up Dock Shield. The Shield goes underneath your dock and can light up as if it were being shocked by the electric rat himself. If you prefer, a Zelda and Mario dock shield are also available. To use the dock shield, you connect it to the dock via USB, and place the acrylic framing panels on the side. It’s elegant, it’s whimsical, and it can be yours for nearly 25 percent off right now. OK, so nothing is quite as perfect for those furious Super Smash Bros. Ultimate matches as an OG Gamecube controller, but this Nintendo Switch Pro Controller might just be the next best thing. It features motion controls, HD rumble, and Amiibo functionality. The original price tag of $70 is nice, obviously, but a saving of $8 is even nicer. Plus, it means you can expand that Amiibo budget. Danger! High voltage! Oh, actually, it’s just a normal, safe amount of voltage. Or wattage. We’re never sure which one. 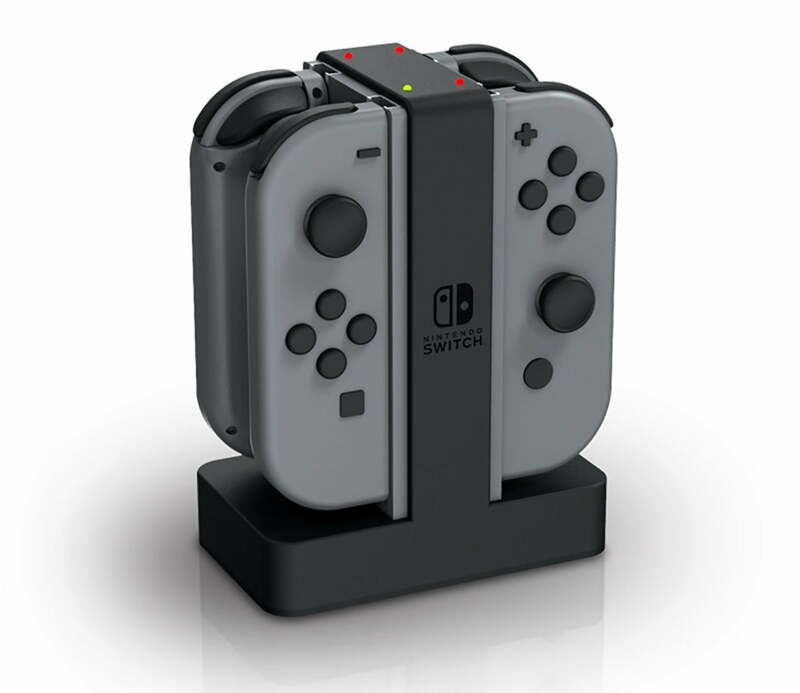 Either way, this Nintendo Switch Joy-Con Charging Dock from PowerA charges up to four Joy-Cons at a time and is currently on sale for $20, down from $30. 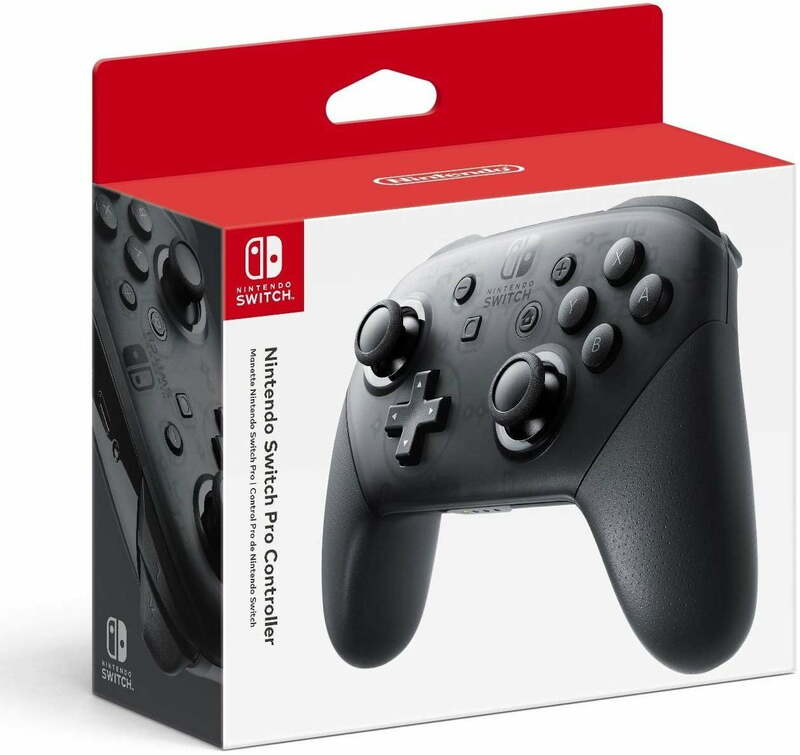 Get a few of these and some spare Joy-Cons and you can technically game forever, like some sort of inescapable, Miyamoto-designed purgatory. Yay! What good is a new Joy-Con charging station if you don’t have new Joy-Con controllers? Amazon is currently offering a $10 discount on several different colors of Joy-Con two-pack bundles. These packages not only come with the controllers themselves but also the Joy-Con Straps you use to make the horizontal orientation better for games like Mario Kart 8 Deluxe or Super Smash Bros. Ultimate. We suggest choosing colors you don’t already own, so you’ll quickly be able to tell them apart from your original ones. The Nintendo Switch is a notoriously curious beast, eager to explore the wonders of the world outside your bedroom. 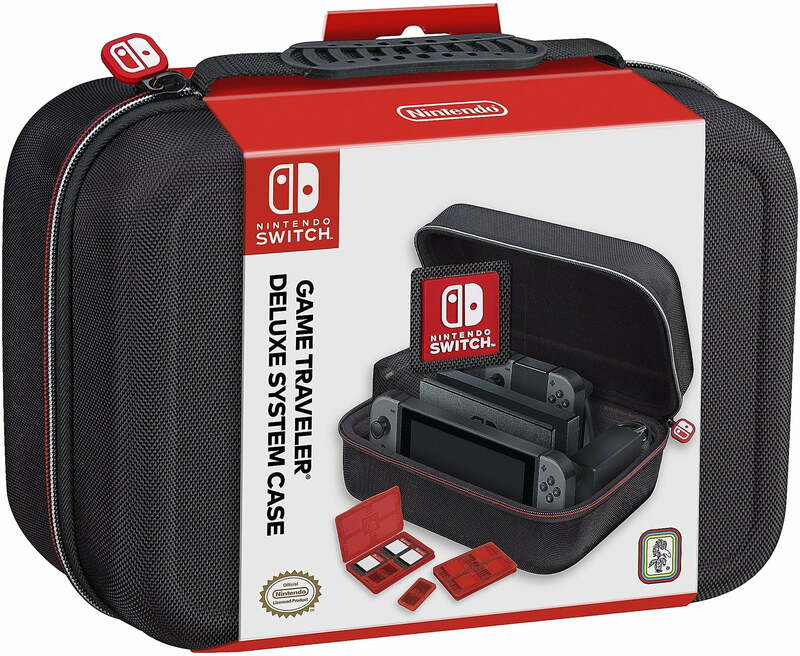 Satiate its intense wanderlust by taking it with you in the luxurious and, dare we say, decadent comfort of this Nintendo Switch System Carrying Case. The list of features on this thing is extensive, boasting a hard-shell case, a felt-lined interior, and space for games, Joy-Cons cables, and a dock. You can pick it up for $29, saving more than $10.